It all starts with one little piece of fabric. 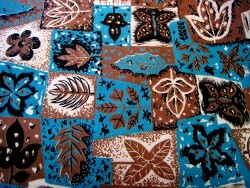 This one happened to be a piece of vintage turquoise and brown with designs that took me back to the 50’s ………..when kitchen stoves and refrigerators were acually turquoise! Then of course we have to throw in some brown. Let’s put some stars into the equasion…………..just because. Well, actually just because I love stars! 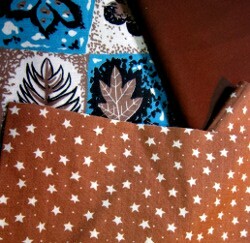 These three fabrics were going to become a fabric postcard. 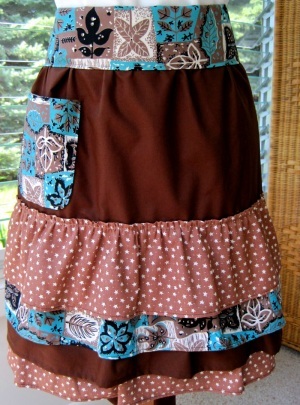 But, I thought I would try my hand at a half apron. Of course, I have no pattern for a half apron. No problem, hey! I’ll just make one up……………so out comes the graph paper………. And a new pattern has been accomplished, and the cutest chic little apron has been born. Visit my newest creation at etsy. As many of you know I love creating. My passion is fabric. 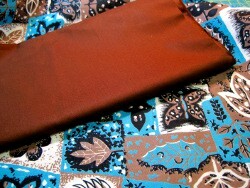 I love to mix fabrics, never knowing where the disign will take me. I am never sure if it will end up a postcard, purse, or a piece of wall art. I am sooo in love with my newest creations. Aprons. 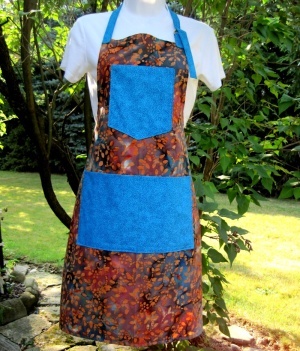 Yes, the woman that does not cook anymore, is absolutely head over heels in love with aprons. So, of course I have to design some (many). 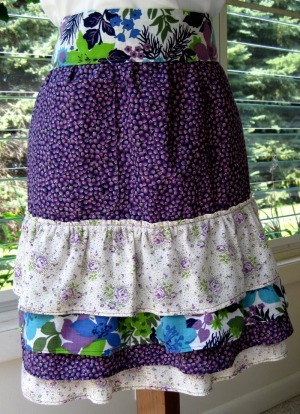 The full aprons were based on a pattern, but the half aprons with the sassy ruffles are my pattern.